We represent businesses which have been damaged by negligent acts, broken contractual promises, and false and deceptive business practices. Many businesses reflexively hire a large corporate law firm on a fixed hourly fee basis when they would be better served by hiring skilled plaintiff's trial counsel on a contingency fee basis. As trial attorneys, we have the experience and skills to effectively explain complex liability theories and clearly present damage claims. 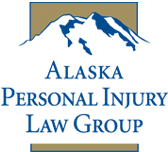 As part of a larger firm, the Alaska Personal Injury Law Group also has the economic strength, technological assets and trained support staff to litigate against large corporations and major insurance companies. Contact us. 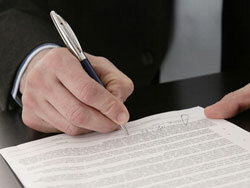 We will evaluate your situation and help you determine if a contingency fee is an effective means to obtain the legal counsel for your business dispute.